Clannad (Not the Anime) Abú! It’s exciting enough when a group of Clannad’s stature and longevity (almost 50 musical years!) releases a new album, but when it’s an album as good as this one, you want to shout it from the rooftops! I do have to say that, when I first heard about this CD, after the initial excitement, I was a little disappointed. This is a release of songs and tunes Clannad performed on stage in Bremen, Germany in 1980, and live albums typically aren’t my thing. They rarely live up to expectations, and these are almost 40 year old recordings…I mean, seriously? Seriously? Seriously! Go deimhin! These tracks are GOOD! Not just Clannad good (which is pretty damned amazing by any standard), but “where has this been all my life” good. So often a live show recording is poorly miked, overcome by background noise, unbalanced…you know how it is. This collection, however, is about as perfect as it gets. It has all the freshness of a live performance with the richness and quality of a studio recording. If you think you’ve heard everything Clannad has to offer, think again. Several of these songs/tunes are ones that Clannad hasn’t released on CD before, but even those that have been released on other albums are fresh and new here because of the difference in harmonies and instrumentation. I’ve been driving around belting out Cuach Mo Londubh Buí with a big grin on my face, as if I’d never heard/sung it before! That’s another thing I’m in love with about this album. There are A LOT of songs in the mix — most of them in Irish. Many Irish trad CDs are more balanced toward instrumental tunes, but this one is balanced more toward singing, which pleases me, and more toward Irish than English, which pleases me greatly! Those of you who have followed my blogs over the years know that I’m a huge advocate of learning by singing, and this is a great album to sing along with. Most of the songs are standards in the Irish trad repertoire, so if you’re a music lover who is also learning Irish, you’ll eventually hear these elsewhere, and it will be nice for you to have some familiarity with them. They say the devil is in the details. Well, there’s plenty of attention to detail here. One of the reasons I’m not normally a fan of live albums is that there tends to be a lot of talking at the beginning of each track. Typically there’s no option to just listen to the song without going through the between-track patter first. I listen to music while I’m driving to and from work. My time is limited. It can be annoying to have to listen to the same introduction over and over again just to hear the song I want. Instead of putting the patter at the beginning of a track, they put it at the end of the preceding track. So, for example, the first track is Turas Ó Carolan and the second is An Cruiscín Lán. They put the spoken introduction to An Cruiscín Lán at the END of the Turas Ó Carolan track. So if I want to listen to it, I can, but if I just want to skip to the beginning of An Cruiscín Lán, I can do that. Simple, right? Simple, but brilliant! I don’t know why this isn’t universal, but it totally should be! Let’s be honest here…while a bit of talking between songs in a concert is useful and expected, it’s not what most of us buy albums for. I do have one little issue with this album, and it’s one that I have with a lot of Irish collections. There’s no lyric sheet. I’m not quite sure why this is. Perhaps the musicians think that people are unlikely to want to or be able to read the Irish lyrics, or perhaps it saves some money in production. I don’t know. News flash, lads…the Irish learners among your listeners would madly, passionately LOVE the lyrics (and the non-Irish-learners would at least get a kick out of thinking “How do you make THIS sound like THAT?”). Given that many people these days are more likely to download the music than to buy a CD set, even an official on-line site with the lyrics would suffice. There are lyrics out there from various sites, but they’re not always accurately transcribed. And you know the old saying: There are two versions of every story, and 12 versions of every song! Minor quibble aside, this album is a must-have. If like Irish music, and/or you’re learning Irish, this album belongs in your collection. It seems that the artist co-opted the name under the mistaken impression that “Clannad” means “family” in Irish. Mini Irish lesson here: It doesn’t. (If nothing else, for you tattoo seekers out there, this underscores the fact that good research is your friend). But that’s clann. Where did “Clannad” come from? As it happens, when the group first got its start, they had to come up with a name on the fly, and they went with Clann as Dobhar: “Family from Dore.” “Clann a. d” eventually was shortened to “Clannad.” And the rest, as they say, is history. If you wandered in here seeking information about the anime, however, fáilte! (welcome!). Stick around! We love to share our language, and you’re welcome to join us! It’s a small world, and the Irish-speaking world is even smaller. Bígí linn! (Join us!). 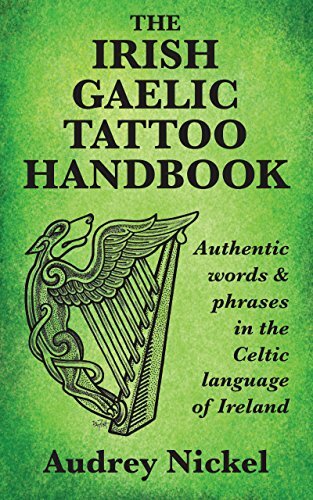 Author thegeekygaeilgeoirPosted on July 28, 2018 Categories Irish Language: General, Irish Learning and Self-Teaching Resources, Irish MusicTags 1980, Anime, Clannad, Gaeilge, Ireland, Irish, Learning, Moya Brennan, Music, TurasLeave a comment on Clannad (Not the Anime) Abú! O Say, Can You Say…? Irish pronunciation: You can learn it. You CAN crack the code. And I’m going to tell you how. Freaking out about the use of tá vs. is. (The modh coinníolach is the conditional verb form — would, could, should, etc. — and for some reason that I really don’t understand it strikes terror into the hearts of Irish learners everywhere). At some point I hope to talk about each of these in this blog, but for right now, let’s start with the most basic. Once you’ve cracked the code, it can be hard to believe that you ever struggled with Irish pronunciation. For an absolute beginner, however, the first time you look at an Irish word and then hear it pronounced (and realize that nothing that came out of the speaker’s mouth sounded remotely as you’d assumed it would), the prospect of actually learning to speak the language can seem pretty overwhelming. The truth is that Irish spelling and pronunciation are surprisingly regular, particularly when compared with English (the language that gives us “through,” “though,” and “tough,” to name just a few of English’s inconsistencies!). You can learn it. You CAN crack the code. And I’m going to tell you how. People tend to assume that letters have more or less absolute values, and that, perhaps with a few exceptions, they should sound more or less in one language as they do in another. Language learners learn fairly quickly that that’s not always the case. Some letters and letter combinations in Irish sound like their counterparts in English, but many do not. Sometimes the difference is subtle and sometimes it’s quite marked. Irish words also often seem to have more letters than they could possibly need. One reason for this is an Irish spelling convention that dictates that a vowel on one side of a consonant or consonant combination must be matched with a vowel of the same type on the other side. This rule is referred to as caol le caol agus leathan le leathan (“slender with slender and broad with broad”). The “slender” vowels are i and e, and the broad vowels are a, o, and u. Often, when you find three vowels together in Irish, one of them is there simply to satisfy this spelling rule. Add this to the fact that consonants and consonant combinations often make very different sounds to their counterparts in English, and you can find just about everything you know about spelling turned upside down. If you go in without the expectation that things will “sound like they’re spelled” (a phrase I’ve come to hate, as they DO sound like they’re spelled…if you speak Irish! English is not the arbiter of the alphabet! ), you’ll have an easier time right from the start. It is so very tempting, when you hear an Irish word, to write it out using English phonics, or to ask the teacher to do so for you. So it may come as a surprise to you when I say that this is one of the WORST things you can do if you truly want to learn to read Irish as written. Phonetic renderings impose an extra step between your ear, your eye, your mind, and your mouth. When you use English phonics to describe Irish sounds, you’re not really learning to associate the sounds with the Irish spelling, which can make learning to read and pronounce Irish doubly difficult. Phonetic renderings can quickly become a crutch. I’ve known several people who never have learned to pronounce Irish as written, even after years of study, because they haven’t been able wean themselves off their English phonetic renderings (and at least one guy who claims it’s “impossible” to learn how to pronounce Irish as written and is trying to promote a new, English-based Irish spelling system. How sad is that?). * Someone here is bound to mention IPA. Yes, the International Phonetic Alphabet is capable of representing pretty much any sound. It also takes just about as much time to to learn as Irish phonics, and presents the same problem as using English phonetics when it comes to putting a barrier between you and the written language. Save the IPA for another day. What you need to do is establish a link between the word as it appears, the word as it sounds, and the word as it’s said. There is absolutely no substitute for this kind of practice if you want to learn to read Irish as written. Don’t sit there and think to yourself “How can this possibly be pronounced like that?” Just accept that it is and learn it. It really is just that simple, and you’ll be surprised at just how quickly it works. They say the devil is in the details, and if you want this method to work well for you, you need to give that devil his due. If you go about this randomly, at best it will take much longer to learn and at worst you may find yourself so confused that you give up. If you do have a teacher, ask him or her if you can make a recording of vocabulary words and phrases/sentences from the unit you’re working on. For now, avoid YouTube “pronunciation” videos. Yes, all of them (unless, of course, they’re part of the self-teaching method you’re using or of the program your teacher is using). Some of them are good, some are “meh,” and some are outright horrible. You don’t want to confuse yourself, and you certainly don’t want to establish bad habits right from the start! Those videos can wait until you’re a little farther along. Practice daily, or more frequently if possible. Spend at least a few minutes every day working with your recordings. Look at the word or phrase you’re learning while you play the recording and again while you try to emulate the recording. See it; hear it; say it. Some self-learning programs, such as “Enjoy Irish!,” even have apps available for your phone, so you can spend a few minutes practicing during your lunch break (or on the bus or train if you don’t mind people looking at you funny!). Every so often, reverse the order: Look at the word or phrase first, try to say it, and then compare what you said to the recording. This will allow you to assess your progress. When you get to the point where you’re pronouncing things correctly most of the time, and it’s just a matter of refining pronunciation rather than trying to work out how all the letters sound, you’ll know you’ve cracked the code. It may be a cliché, but it’s true nevertheless. If you work like this a little each day, pronunciation of written Irish will come to you more quickly than you may have dreamed possible when you first began. So what are you waiting for? Get out there, get a good learning method (if you don’t have one already) and start practicing! And while you’re at it, don’t forget to have a wonderful St. Patrick’s Day! Lá ‘le Pádraig sona daoibh! Author thegeekygaeilgeoirPosted on March 14, 2018 June 26, 2018 Categories Grammar, spelling, and other such learning experiences, Irish Language: General, Irish Learning and Self-Teaching ResourcesTags Gaeilge, Gaelic, Irish, Language, Learning tips, PronunciationLeave a comment on O Say, Can You Say…? This is the time of year when an ancient Irish celebration turns our world black and orange. This post originally appeared on my Tumblr blog in October, 2016. ‘Tis the season! This is the time of year when an ancient Irish celebration turns our world black and orange and fills our streets with little (and sometimes not so little) ghosts, goblins, and superheroes. In ancient Ireland, Oíche Shamna, or “Samhain Eve” (“Samhain,” pronounced “SOW-un” (first syllable rhymes with “cow”) is the Irish name for the month of November, and also the name of the Old Irish new year celebration) was a time when the veil between the world of the living and that of the dead was believed to grow thin. People believed that the dead, both good and bad, could walk among the living on that night. They prepared offerings of food and drink to welcome their beloved dead, as well as to appease spirits who might mean to do them ill.
People also believed that the fairy folk were better able to “cross over” on such a night. Fairies in Irish mythology are not elegant elves or glittery pixies. They are supernatural creatures that are, at best, mischievous, and, at worst, truly terrifying. My recent travels took me to México, where I had the opportunity to view examples of Mexican art, both ancient and modern, with the guidance of local experts. It was quite an eye-opening experience! The real eye-opener, however, was our visit to an art gallery in San José del Cabo that featured artwork based on the upcoming Méxican holiday Dia de los Muertos – The Day of the Dead. Of course I was already familiar with Dia de los Muertos. I live in a place where it is widely celebrated. I’d never really given any thought, though, to how similar it is to the ancient Irish observance of Oíche Shamhna, which, over the span of centuries, eventually morphed into our modern Halloween. The concept of honoring ancestors with their favorite foods and music; the sense of the veil between the world of the living and the world of the dead growing thin, allowing the dead to visit the living; the acceptance of mortality as part of the cycle of life rather than something to be dreaded and shunned…all are significant aspects of both celebrations. Even though I’ve celebrated Halloween all my life (and have known about its Irish roots since high school), and have lived among people who observe Dia de los Muertos for much of my adult life, just how closely the two celebrations are related never really clicked for me until that day in San José del Cabo. Fascinating, isn’t it? Two completely different pre-Christian cultures, on two continents, evolving what is, essentially, the same celebration. It gets even more fascinating when you look a little deeper and realize that similar celebrations have evolved on virtually every continent. Really makes you wonder if there might be something to it, doesn’t it? In any case, I knew that I had to write something about Halloween and its Irish connections when I got home. The problem was (and is) that my travels have left me very short of time, and I wasn’t sure I could give the topic the justice it deserves. Then I realized that I didn’t have to reinvent the wheel. Oíche Shamhna (Halloween) Part 1 Happy New Year! : This post describes how the ancient Irish celebration evolved into the holiday we celebrate today. Halloween Old Irish Style How the ancient Irish observed Oíche Shamhna, with suggestions incorporating some of these traditions into your own Halloween celebration. Irish Language Phrases for Oíche Shamhna Irish words and phrases appropriate to the season, with phonetic pronunciation. The program is designed as a series of very short, “bite-sized” lessons, each of which can be completed relatively quickly. Lessons are categorized s “Grammar,” “Vocabulary,” and “Conversation,” and feature audio recorded by a native speaker. Bitesize offers extensive support, and additional resources, including frequent podcasts and a private Facebook group. Anyway, if you’re looking for an affordable way to get started learning Irish, give it a look! Slán go fóill, and Happy Trick or Treating! This is an expansion on, and update of, a post I originally wrote for the Facebook page “IRISH FOR BEGINNERS” in April of 2016, and which I published on the original “Geeky Gaeilgeoir” blog on Tumblr in July of 2016. The original can still be found in the “files” section of the “IRISH FOR BEGINNERS” page. You see it everywhere. It’s mentioned on virtually every Irish language discussion forum or Facebook page, and shows up in the “resources” hand-outs at almost every immersion weekend. It seems that everyone these days is in love with Duolingo. (www.duolingo.com). It comes as a surprise to some, therefore, that I’m not a huge Duolingo fan – at least not when it comes to learning Irish. What’s the problem with Duolingo? Let me start by saying that I don’t “dislike” Duolingo. In fact, I think it may work just fine for languages that have a wide pool of native and fluent speakers from which to draw, as well as a significant body of good written and spoken examples on line. – French, for example, or Spanish. 1) I’ve encountered many mistakes originating from Duolingo both in grammar and in pronunciation (mostly via people who have posted questions about these on the The Irish Language Forum or on Facebook pages). Yes, most of these mistakes eventually get corrected, but not before some beginners have picked them up and internalized them. UPDATE: Duolingo now has a native Connacht speaker doing the recordings, which should mitigate the pronunciation issues somewhat. 2) I’ve seen beginners there arguing points of grammar and pronunciation with experienced and even native speakers, with their supporters rallying around them, even if they’re wrong. Do you really want to be learning from people who don’t know what they’re talking about, but who insist on their own way? Language learning by consensus is an iffy proposition to begin with, and when it becomes a popularity contest, accuracy flies out the window. 3) I believe that, when you’re a beginner, you should focus on the language as it’s actually spoken (a lot of those Duolingo sentences are pretty bizarre!). If you want basics to become automatic, you need to be practicing things people actually say, not the equivalent of “my hovercraft is full of eels.” Yes, I know that bizarre phrases are part of Duolingo’s teaching methodology – I just don’t happen to agree with that methodology. Unlike many other languages, Irish has a fairly small pool of native or fluent speakers, and relatively few of those are likely to be hanging out on Duolingo (There are some there. I know because I know them. But do you?). In addition, much of the Irish on the web (both written and spoken) is pretty poor. This makes it more difficult for programs that are dependent on input from knowledgeable individuals to provide a solid learning experience. Once you have sufficient Irish under your belt, you may find Duolingo to be a fun place to reinforce what you’ve learned, but I only recommend it AFTER you have enough Irish to spot a lot of the mistakes (and preferably if you have somewhere to go to get questions answered by people you know to be knowledgeable. The aforementioned The Irish Language Forum is a good place to go for that kind of support).. So what’s a poor beginner to do? As a matter of fact, I can. Rather than keep reinventing the wheel, I’m going to put my recommendations here, where I and others can link to them, and where I can update them as needed. GG’s Guide to Really Good (And Totally Free) Irish Learning Programs! This comprehensive self-teaching course, which included a book and audio tapes, as well as a weekly BBC television program designed to reinforce the lessons, was originally published in the mid ‘90s. It is now out of print, alas. Until fairly recently, copies of the book were still available from An Siopa Gaeilge in Donegal, but they’ve sold out of them now as well. The really great news, though, is that the DFW Gaelic League in Texas (a branch of Conradh na Gaeilge) has the entire course – text, audio, and TV programs – on their website, and it’s completely free of charge! The site is nicely laid out, with text, audio, and video all grouped together by lesson. This is the course I recommend most frequently for beginners. It’s well-designed for adult learners, and very accessible. The pronunciation is mainly Ulster, but other dialects are also represented. All the recordings are by native speakers. * This course was originally published as “Now You’re Talking” in Ireland, and as “Irish on Your Own” in the U.S. Simply click on “Start Learning Now” to begin the course. You’ll be prompted to log in using Facebook. Pronunciation is based on the Connacht dialect, but the grammar is based on the official standard. While these lessons are intended to be a supplement to the book (which is out of print, but still widely available), they can also be used on their own. I’m less familiar with this fully on-line program (whose name means “I can”) than I am with the others, but it comes well-recommended. It was originally developed by a teacher to help parents and grandparents help their children and grandchildren who were learning Irish at school. Pronunciation leans toward Munster, from what I’ve been able to hear, but the grammar and spelling appear to be standardized. Teanglann. (www.teanglann.ie) This is a free, searchable, on-line compilation of some of the most respected Irish-English dictionaries in the world, and pronunciation is provided for most of the words (but not for inflected forms). It also includes a grammar database, which is very useful as you get into more complicated sentences. It will also show you examples of usage, which is extremely valuable when you start composing your own sentences! Forvo (http://forvo.com/languages/ga/) Forvo is a pronunciation database. I offer this link with a slight caution. If you use it, I strongly recommend only choosing recordings that feature native speakers or very careful/advanced learners. Remember…just because a person is from Ireland does not mean that he or she has good Irish! If in doubt, ask! Abair.ie (www.abair.ie). The original Irish-pronunciation synthesizer! It’s generally pretty good (it features recordings by native speakers from all three major dialects). It does do better with single words or simple phrases than it does with whole sentences, however. Even as an absolute beginner, it’s extremely valuable to listen to naturally spoken Irish (as opposed to the slowed down, extremely clear diction of learning audio) as often as possible. You may not understand much more than “agus” at first, but listening like this trains your ear so that, as you begin speaking, you’ll develop a natural cadence (it’s also fun, and a break from working though workbooks). Irish language television! Click on “Player” (or Seinnteoir in the Irish interface) and you can choose from a huge archive of programs of all types (dramas, documentaries, game shows, etc.). Typically all of the programs are subtitled, except for the news and children’s programming. You can also choose your subtitles on some of TG4’s on-line programming. The default is English, but you can click on “cc” at the bottom of the screen to switch to Irish subtitles (if they have them available) or to no subtitles. As of this writing Irish subtitles aren’t available on all programs, but I expect that this will change if the new options are popular. This is a wonderful boon to learners, as you can start by watching shows with the English subtitles and, once your Irish is a little stronger, watch the shows with the Irish subtitles (then watch them with the English subtitles to check your understanding). Later on you can do the same with no subtitles, checking your understanding against the Irish or English version. So far this is only available on-line, so if you’re watching TG4 in Ireland, you won’t’ be able to change the subtitles on your television (yet!). Also, if you’re running Explorer 8 or Windows ‘95 (or older) you will need to update to a newer platform. Irish language radio! There are several other radio stations that have mostly Irish content, and they’re all enjoyable and worth listening to, but I particularly like this one because so much of it is native speech. Turn it on and listen as you go about your work. As with TG4, you won’t understand much at first, but your brain will be picking up the unique cadence, structure, and sounds of the language. Willing to Spend a LITTLE Money? If you’re willing and able to open your pocket just a little bit, here are a couple of really good self-teaching program that won’t cost you much money, and that will pay off huge dividends in terms of starting your language learning on the right foot. “Enjoy Irish!” is a self-teaching program developed by Oideas Gael. It consists of a very user-friendly book accompanied by full audio on CD and can be had for just €15. (about $17 as of this writing) plus shipping. There is also an app available for both iPhone and Android for about $10 that follows the format of the book and allows you to learn while on the go. It’s not necessary, but is a nice addition if you can afford it. This little book is a must-have for any serious Irish learner. While it can be used as a self-teaching course, it’s best for reinforcing and reviewing the basics. As I said at the start of this post, I don’t dislike Duolingo. It has its place, and may be very useful for learners of more widely spoken languages, especially if your goal is simply being able to communicate in those languages. I just can’t recommend it, though, for beginning learners of endangered minority languages such as Irish, where the goal isn’t simply to communicate (Let’s face it: No one NEEDS Irish in order to communicate. I hate to say it, but it’s true), but to preserve an important part of Ireland’s culture and history (tír gan teanga tír gan anam – a land without a language is a land without a soul). The Geeky Gaeilgeoir Blog at WordPress.com.